(Jacksonville, Fla.; July 27, 2010) — Crowley Maritime Corporation continues to work with relief and commercial organizations to provide goods and materials needed by Haiti residents in the aftermath of January’s major earthquake. Most recently, Crowley began transporting emergency housing units for Steel Elements International, LLC to homeless families. Shipped in 20-foot containers and packaged as building sets, the homes are assembled in country by trained Haitians and humanitarian aid workers. To date, Crowley’s logistics group has managed the transportation of 68 containers for Steel Element’s containers destined for Port-au-Prince. In all, Steel Elements plans to send 300 containers to relief organizations in Haiti. The temporary structures, which replace tents, measure 10 feet by 20 feet and are hurricane resistant, fire resistant and earthquake resistant and are the ideal structure for harsh environments, according to the manufacturer. They are being delivered to various aid organizations in Port-au-Prince and Leogane, including CHF International and the Lutheran World Federation. Crowley’s logistics team worked closely to ensure that 50 steel building sets were loaded into each 20-foot container at Crowley’s new 70,000-square-foot warehouse near the Jacksonville Port Authority’s Dames Point Marine Terminal and transported to South Florida where they are loaded aboard a Crowley vessel destined for Haiti. The company also served as freight forwarder on more than a dozen loads, facilitating their transport on other U.S. flagged vessels. 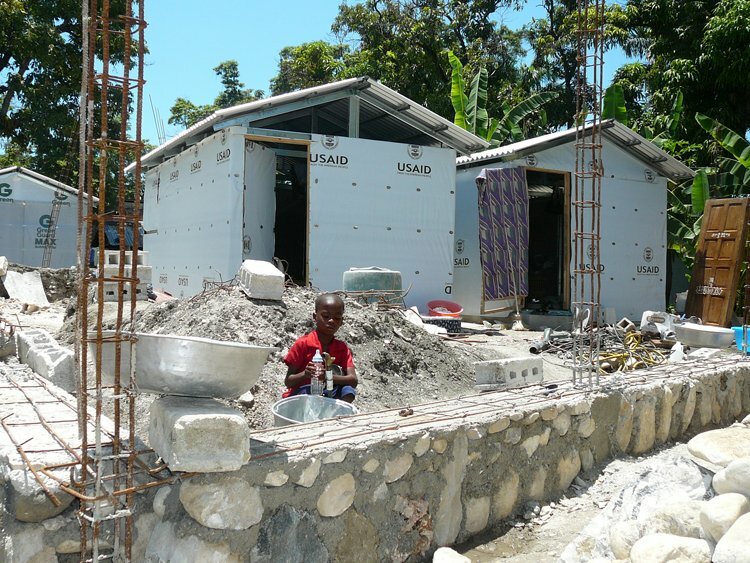 The buildings have been received positively in Haiti, with CHF International recently posting an article about the benefits of the buildings, http://www.chfinternational.org/node/34137. Steel Elements International, LLC is a provider of light gauge steel framings systems in the US for schools, hospitals, hotels, senior and sub-acute facilities, housing developments and commercial spaces to name, among others. The company also manufactures emergency housing units. For more information, visit www.steelelements.com or www.emergencyhousingforhaiti.com.